Pre-construction work’s expected to begin this year, with the aim of the project being completed in late 2022. While no estimated cost has been provided, it was put at around $60million in 2016. The development is set for completion in 2022. Skyline Queenstown has been working closely with neighbouring businesses, particularly Kiwi Birdlife Park to minimise disruption to the kiwis and the park throughout the redevelopment. A new state-of-the-art gondola system is included. 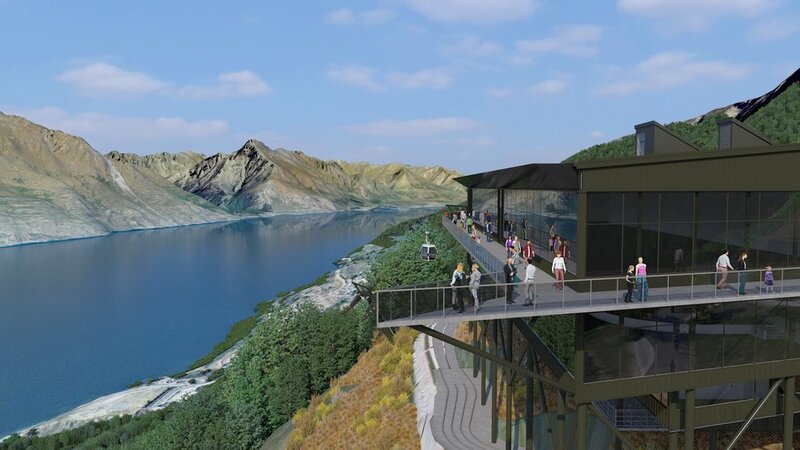 The redevelopment of Skyline Queenstown – which is home to the Gondola, Luge, viewing deck and mountain biking tracks on Bob’s Peak – will increase the capacity for gondola passengers at the base terminal and improve the overall guest experience with additional services and amenities, the company says. New 10-seat Doppelmayr cabins will be installed, and the new-and-improved complex will also feature a 650-seat restaurant with a flexible configuration for multiple dining options. Conference facilities to accommodate more than 700 guests, a new café and additional retail space are included in the plans. Since Skyline’s inception, the primary motivation for visitors to the attraction has been to see the iconic view, the company says. To facilitate this the viewing deck will be significantly increased from 68m2 to 430m2, offering even more angles to capture what is possibly the most photographed view in the southern hemisphere, it says. The redevelopment will increase the capacity for gondola passengers and improve the overall guest experience with additional services and amenities. Detailed planning is already well underway to incorporate the conditions identified in the resource consent approval. In 2016 former general manager, Lyndon Thomas, predicted the number of people who use the gondola would nearly double by 2030 to one and a half million a year. About half of all Queenstown visitors visited the Skyline facility, he said. A new lower terminal building on Brecon St is included. Consent to build a five-storey, 449-space car park near the base terminal has also been approved.